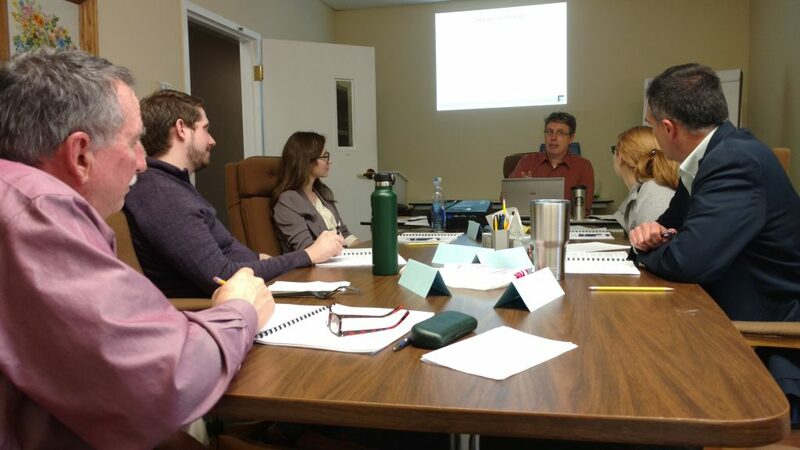 FairField Center’s Basic Mediation Training class finished their first full day of study! Taught by Executive Director Tim Ruebke, this three day class offers experiential training in the basic principles of negotiation and conflict resolution, the mediation process, communication skills and issues faced by mediators. Instructors use role plays and practice activities applicable to real life situation and General District Court level cases. For further information contact Shannon Sneary Alabanza, Director of Training, at training@fairfieldcenter. To sign up for a future FairField Center training, visit FairField’s Training Page.